When will be Gold Coast Medical next episode air date? Is Gold Coast Medical renewed or cancelled? Where to countdown Gold Coast Medical air dates? Is Gold Coast Medical worth watching? Gold Coast Medical is an unprecedented new series that takes a deep dive into their high-stakes world – following the heroic work of the varied real-life medical personnel who make up the Gold Coast's largest hospital (the newly renovated $1.7 billion Gold Coast University Hospital) and vital ambulance services – like we've never seen them before.From the paramedics and trauma teams (featuring access to the dramatic triple zero emergency calls), to the cardiologists, obstetricians, neurosurgeons, plastic surgeons, paediatric nurses, and oncologists – this compelling new observational documentary series has gained widespread access across several departments - following all kinds of medical stories through the eyes of unforgettable characters. 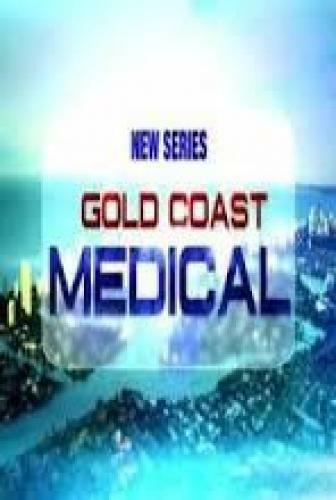 Gold Coast Medical next episode air date provides TVMaze for you. EpisoDate.com is your TV show guide to Countdown Gold Coast Medical Episode Air Dates and to stay in touch with Gold Coast Medical next episode Air Date and your others favorite TV Shows. Add the shows you like to a "Watchlist" and let the site take it from there.